This is one of our Budget series of posts to give you an idea of how much we spent traveling around the world. Here we will look at Bali. Check our posts to see what kind of activities we did and where we stayed! 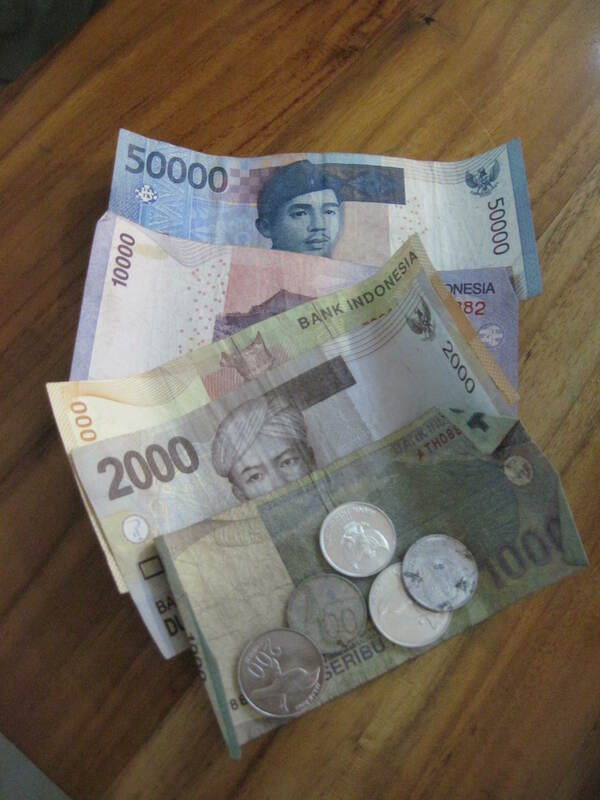 In Bali we used the Indonesian Rupiah. We converted to US dollars using the current conversion rates at the time of our visit. It was approximately 12,500 Rupiah to $1.00. This included entrance fees for a lot of temples. The largest expenses were for a dance performance, massages, and a tour guide for two days in Ubud. We ate out for lunch and dinner every day. We purchased one breakfast from Payogan Homestay and the others from the grocery store. There was also alcohol consumed with most dinners! This includes one postcard… and a large airport exit tax. blargh. This includes several taxis as well as a day we took a car and driver around near Seminyak. We purchased our visas on arrival. We should have paid in Rupiah as it would have been cheaper than in dollars. Oops. This divides out to $100.98/day which is just about $100/day budget! We were expecting that we might go a little over in Bali as it was a special occasion and we were traveling with others. We have to give a HUGE shout out and THANK YOU to Phill and Izaak for being understanding and supportive of our budget. Thanks! Good realistic Bali budget for flash packers. Difficult with expensive visas and exit tax. Interesting tip that the visa works out cheaper if you pay in local currency. Factoring in temple entrance fees is important, they can really mount up. No one likes watching the pennies, budgets are helpful if you are planning lots of travel as opposed to one off holidays. The Visa cost is ridiculous.